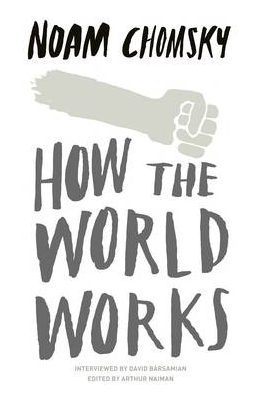 Wake up to the way the world works today by reading the very accessible, easy to understand guide by Noam Chomsky “How the World Works”. According to The New York Times, Noam Chomsky is “arguably the most important intellectual alive.” But he isn’t easy to read . . . or at least he wasn’t until this book came along. Made up of intensively edited speeches and interviews, they offer something not found anywhere else: pure Chomsky, with every dazzling idea and penetrating insight intact, delivered in clear, accessible, reader-friendly prose. The Transatlantic Trade and Investment Partnership (TTIP) may soon have a major impact on Wales. TTIP is the bilateral trade agreement being negotiated between the EU and the USA. Not many people will have heard of it yet, but it could undermine the many high standards and good regulations that we have fought so hard for in the EU. This includes the fields of employment, food standards, the environment, public services, and many more. It could hand over greater power to global corporations at the expense of elected governments. The TTIP negotiations have been secretive and deliberately opaque. Considering the magnitude and scope of the agreement, it is unthinkable that it could be ratified without full democratic involvement and agreement. To date, the Welsh Government has not done a study of the potential effects of TTIP in Wales. This is badly needed and I will continue to call for it to be carried out. I welcome the fact that increasing numbers of people in Wales are getting actively involved in the campaign against TTIP and are making their voices heard. This report is a collection of the views of some organisations and individuals concerned about its implications. I very much thank the contributors for voicing their opinions which will help create the public debate we need. Caught red-handed: shady corporate lobbyists are spreading lies about TTIP. They’ve been emailing our MEPs, making false claims about widespread support for the dodgy trade deal. Before MEPs start taking it seriously, let’s drown the lobbyists out. It’s urgent – next week, all MEPs will take part in a series of votes about TTIP. They could have the chance to vote to scrap some of the most dangerous parts of the deal, like the bit that lets big businesses sue our government if they don’t like our laws. Corporate lobbyists have been telling MEPs that their colleagues support this part of the deal – but in fact, many of them don’t. Together, we need to make sure that in the final few days before the vote, MEPs inboxes are full of emails slamming TTIP. If thousands of us email our MEPs now, the lying lobbyist emails will soon be at the bottom of their email inbox, forgotten about. So can you get in touch with your MEPs now to ask them to vote against TTIP next week? It’s clear that corporate lobbyists are worried. They’ve run out of ‘credible’ arguments and now they’re just making things up to try and get MEPs to support TTIP. But we’re the voters, and MEPs represent us. So we can focus on creating as much noise as possible about why TTIP is bad. When MEPs walk into the vote next week, they will know we’re backing them to vote against the worst parts of the deal. The other side may have money, but we’ve got people-power. 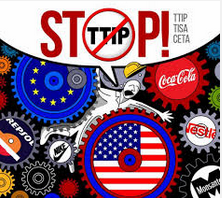 Will you email your MEP now, to ask them to vote against TTIP next week? PPS: Next week’s vote isn’t the final vote on TTIP – the full text of the deal still hasn’t been published. However, It’s one of only a few chances MEPs will have to make recommendations that could change TTIP (or throw it out altogether). It’s not a legally binding vote, but what MEPs decide will send a strong message back to the European Commission about where we all stand on TTIP. If there’s enough opposition, especially to the worst parts of TTIP, it could damage the deal for good. Euractiv: What will Parliamentarians vote on TTIP? This entry was posted in Uncategorized on June 6, 2015 by Bridgend's Green Leftie. Be my guest, Pete – you can always re-blog anything from here.